With Labor Day signalling the end of the summer season for many Pittsburghers, a number chose to take the day off to visit the Pittsburgh Zoo and PPG Aquarium. Most came to see the animals. But after the deaths of a three-month-old elephant calf and the zoo’s oldest male tiger in rapid succession last week, some residents are coming to sound off, not to spectate. A protest planned for later this month the zoo includes the two recent deaths in a list of accusations of animal mishandling. According to the event page, protesters will demand an end to the zoo’s breeding program that the elephant calf was part of as well as a general release of the park’s animals into wildlife sanctuaries. The events of the past week were unquestionably tragic, and the zoo should give serious consideration to the future of its elephant breeding program. But demands to essentially shutter the zoo are counterproductive and would likely do more harm than good to the animals and anyone involved. The elephant calf that died last week was conceived through through the process of artificial insemination of one of the zoo’s female elephants. When the calf’s mother rejected it after its premature, underweight birth, it received care exclusively from zoo employees, who fed it a mixture of formula and milk from another elephant mother. After teething began, keepers were forced to insert a feeding tube. Zoo officials only made the decision to euthanize the baby elephant after tube feedings became ineffective and the calf stopped gaining weight consistently. In a statement given after the death, Pittsburgh Zoo President and CEO Barbara Baker expressed the organization’s sense of bereavement. While protesters might disagree with the zoo’s move, it seems unfair to say that the calf’s keepers acted with anything remotely resembling cruelty. Elephant breeding via artificial insemination — a practice the Pittsburgh Zoo pioneered in tandem with the Vienna Zoo — is still a very young technique, and the program should go forward with more caution following the mother’s rejection of the calf that died last week. But conservationists in Europe and the United States credit the program with helping to support a rapidly dwindling African elephant population, and demands that it be suspended entirely are counterintuitive. 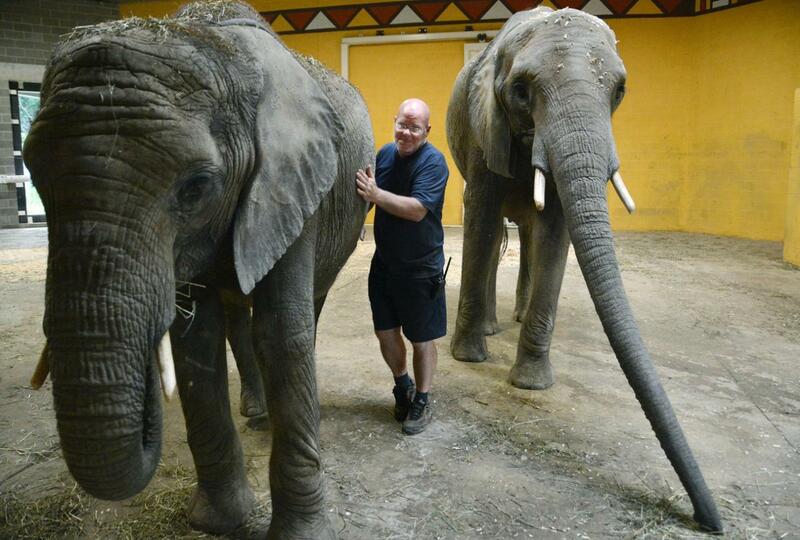 Beyond simply preserving the African elephant species, the Pittsburgh Zoo contributes significantly to elephants’ overall health and quality of life. Researchers at the city’s zoo developed a treatment for elephants with tuberculosis last year, for example. Protesters rightfully find recent animal deaths at the zoo objectionable, and they shouldn’t let the deaths go without response. But ignoring the positives that a zoo can give to endangered animals like the African elephant does harm to the future of the species.